The more mobile technology we have, the more batteries we have to charge. The bigger and more advanced the device, the more power it demands, and the harder it can be to manage when we are out and about. As these demands grow, the need grows for portable batteries with more ports and higher capacities. 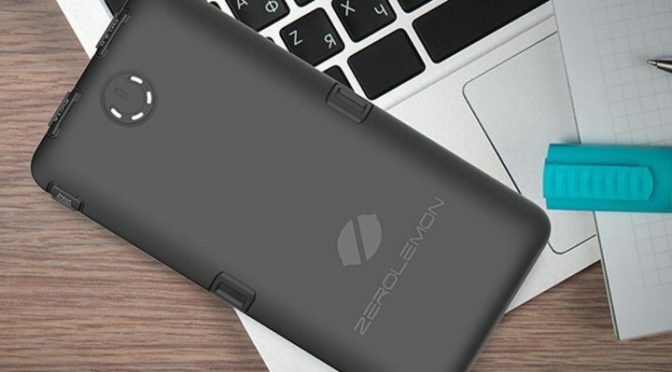 Enter the ZeroLemon ToughJuice 30,000mAh 5-Port Power Bank. This bank has both the capacity and ports to take care of your needs on the go. It has enough capacity to fully charge a MacBook, an iPad Pro a couple of times, or your iPhone up to ten times. This pack has three standard USB-A Ports, 1 QuickCharge USB Port, and 1 USC-C Port. It also sports a double-layer, anti-shock shell to protect the battery. Our Deals site is offering the ZeroLemon 30,000mAh 5-Port Power Bank for $59.99. This is 53% off the normal retail price of $129.99, and is a big discount over battery packs of similar capacities.